A misreading of a radar screen indicating another drone may have entered Israel caused officials to ground flights at Ben Gurion Airport. A misreading of a radar screen indicating another drone may have infiltrated into Israel caused officials to ground three flights at Ben Gurion International Airport around 5 a.m. Wednesday morning. The Air Force scrambled warplanes into the air, but after several minutes, it became clear that the original suspicions of the entry of a foreign aircraft were unfounded. The three scheduled departures finally took off from the runway, several minutes late. 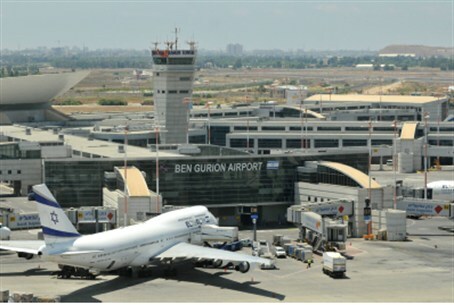 The extremely rare incident of Ben Gurion Airport being closed because of a suspicion of enemy aerial infiltration underscores the high alert and tension following last week’s unprecedented entry of a drone. Hizbullah, with Iran’s backing, is suspected of having launched the unmanned aerial vehicle (UAV), which flew south over the Mediterranean Sea and then entered Israel from Gaza. The Air Force followed the drone and might have carried out a cyber attack to alter its course, which may have been calculated to guide the drone to fly over and photograph the site of the nuclear reactor near Dimona. The drone made a sudden U-turn and flew over non-strategic areas until F-16 planes blew it up with a missile over a small unpopulated area in the Southern Hevron Hills, several miles north of Be’er Sheva. Iran initially quoted a military expert that the drone probably had been "misfired” from an American ship, but an Iranian Revolutionary Guards commander later said it was possible the “Zionist regime” launched the drone as part of psychological warfare. Most analysts believe the pictures taken from the drone were of low quality and did not compromise Israel’s security. They added that Iran may have been trying to test Israel’s response.